Last November 6, 2016, almost 1500 runners from different parts of the country gathered at SM Mall of Asia by the Bay and participated the first-ever Eggciting Adventure Family Fun Run, a charity run that aimed to fight hunger and stunting in the country. 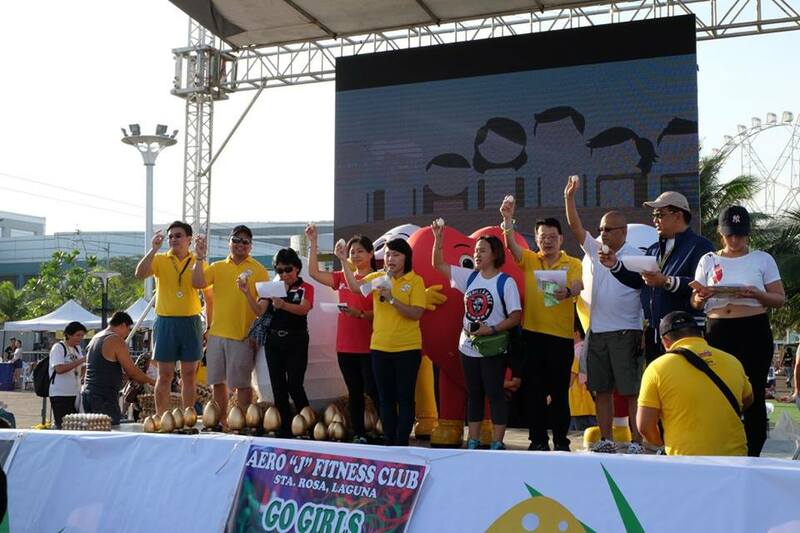 Powered by Guerilla Race, The Philippine Egg Board Association together with The Good Egg by Sarimanok joined forces in encouraging the nation to be an advocate of “one egg a day” everyday for good health. Egg is an affordable source of nutrition for it has essential nutrients, proteins, vitamins and minerals that is good for overall health. Contrary to popular belief that egg causes heart problem and high cholesterol level, several studies show that eating an egg everyday does not increase the risk of heart disease. Thus, it has no effect on blood cholesterol level. 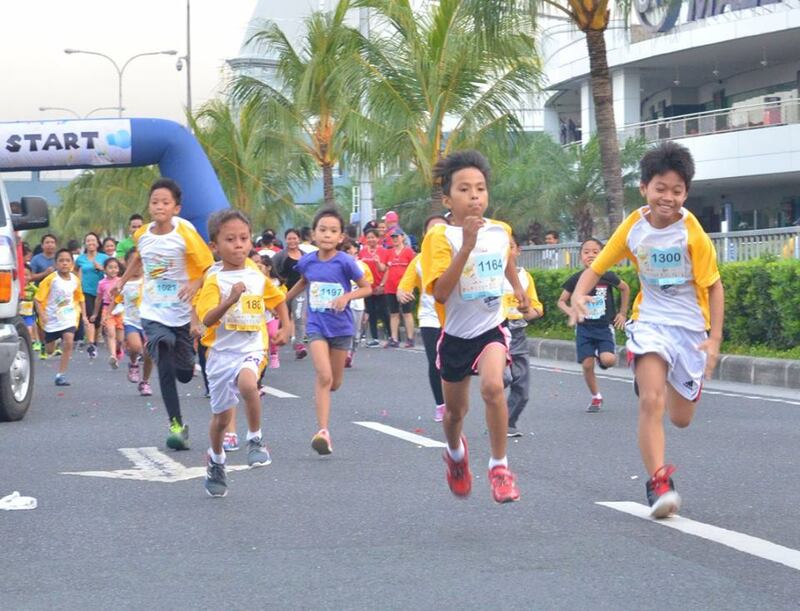 The Eggciting Adventure Family Fun Run began with a 10-kilometer run at five in the morning followed by 5K, 3K, 1K and 500-meter dash for children. Every participant was motivated to run as quickly as they can as exciting prizes and freebies awaited them. Also to mention, the golden egg trophies were up for grabs for those who will finish the race in the shortest time possible. 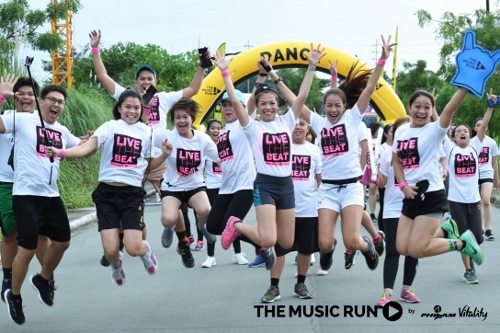 After the run, a zumba presentation led by Nick Manjares of Aero “J” Fitness Club of Santa Rosa, Laguna was conducted. Likewise, there was a samurai demonstration by the Fitness Factory. Free eggs were distributed for the egg toast ceremony. This ceremony was joined by the following: Mr. Clint Escondo, Vice President of Univet Nutrition and Animal Healthcare Co., (UNAHCO), Ms. Riel Andaluz, Senior Manager for Corporate Partnerships of Save the Children Philippines, Lt. Col. Dennis Bumanglag, Race Director and Head of Guerilla Race, Mr. Edwin Mapanao, Assistant Vice President of The Good Egg Sarimanok, Dr.Fe Marie Alejandre-Colico, Poultry Business Unit Head of Sarimanok Poultry Feeds and Ms. Veronica Ramos, Marketing Director, Aldenver Marketing, Inc. Right after the egg toast ceremony, the heads from different organizations signed their names on the giant egg replica as display of support to this worthwhile endeavor. Meanwhile, Dr.Fe Marie Alejandre-Colico of Sarimanok led the “egg pledge”. This was organizers’ and participants’ commitment to uphold “one egg a day” advocacy. On the said pledge, they sworn to consume one egg a day everyday to increase daily requirements of essential nutrients, proteins, vitamins and minerals. This commitment will help in keeping away from micronutrient deficiency as well as allevating hunger and malnutrition. A storytelling session about the benefits of egg to one’s health was done to entertain and educate families especially children participants. The funds raised in this event will go to Save the Children Philippines and AFP Educational Benefit System Office (AFPEMBSO). 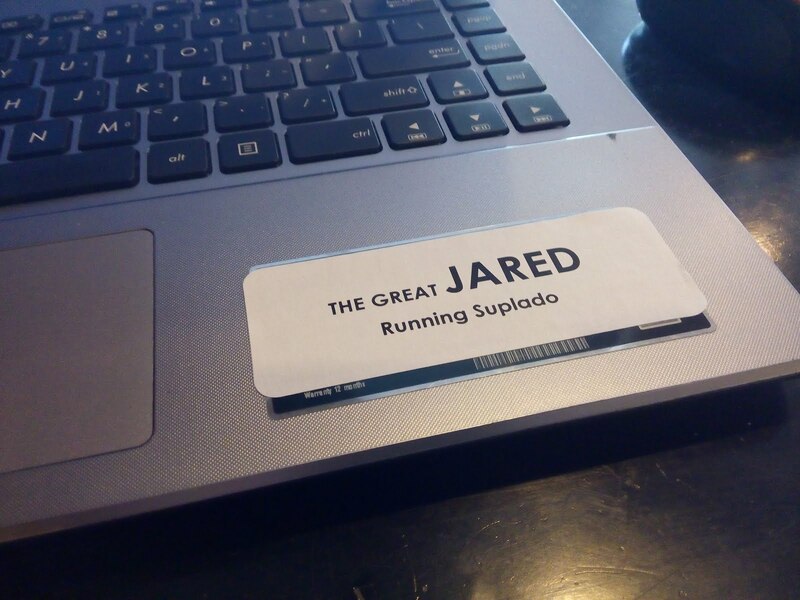 For race results, visit the official website: www.myruntime.com. 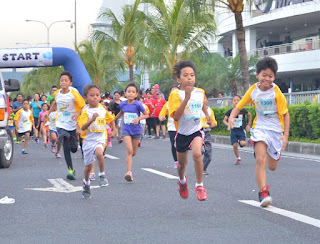 The Eggciting Adventure Family Fun Run was made possible with the help of the following sponsors: The Philippine Egg Board, The Good Egg by Sarimanok Poultry Feeds, DSM Nutritional Products and in partnership with Deuter Philippines, Mega Fiber, AquaBest, F45 Gym, Vita Coco, Blackwater, Ascorbic Acid Ceelin, Ascorbic Acid Zinc Ceelin Plus, Tiki-Tiki, Nutroplex, Nutrilin, Growee, Ferlin, Slimmers’ World, Curves, The Philippine Barter Association together with The Philippine Star, Abante, AgriTV, The Philippines Event , Business Mirror, Zen Health, RX Plus, SM Accessories, When In Manila, Sam and Mard Show, My Run Time, Team Run Direction, Travel Plus, Philippine Graphic, The FitnessFactory, Johnson Health Tech Philippines, Inc. , Purple Ink, 8 Tri Media. It’s officially a few more days before we celebrate Christmas and New year. Around the globe, most people are trying to look their best, new clothes, new gadgets, and new shoes, but can these make up for looking best at what’s on top of our head, our hair! The brand has helped thousands of satisfied users here in the Philippines, thus merits its fifth consecutive year of being awarded by Watson’s as the leading Medicated Hair Care Brand in the country. Good news to our kababayans abroad and their friends, with the brand’s aim to help assuage hair problems across the globe, Novuhair products are available in Kuwait, distributed by Bee Organic Import & Export Establishment, Kuwait. 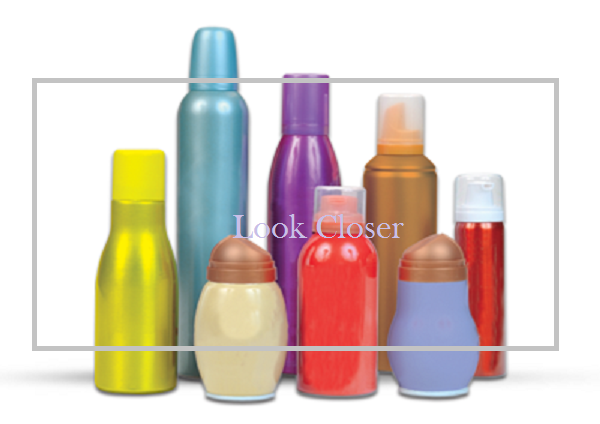 Novuhair can also be purchased online through our service partner: www.regaloservice.com. Servicing USA, Canada, UAE , KSA and other Asian countries. Locally, Novuhair Topical Scalp Lotion, Shampoo and Conditioner are available in all Mercury Drug Stores and other leading drug stores nationwide. For more information visit www.novuhair.com, like the brand’s official Facebook Page at Novuhair Official, and follow it on Twitter at @NovuhairNatural. You may also call the Novuhair hotlines at 4136570 and 09228830575 and order online at Lazada. BMW Car Club of the Philippines - the only official BMW Car Club in the country and a member of the International Council of BMW Clubs AG, an umbrella group under BMW Clubs Asia will hold its 13th annual car show and shine event dubbed as Bimmerfest XIII on December 10, 2016 at Capitol Commons in Pasig City. This event is open to the public. But, register for a chance to win in the hourly raffle. For further inquiries, please call the numbers below. 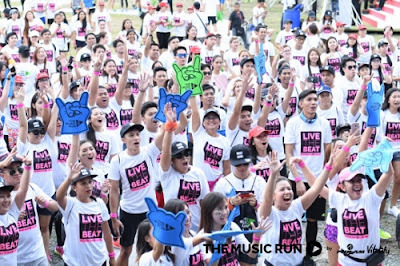 Our Event Partners : Michelin Philippines, Citibank, Johann’s Cuisine, The Village Sports Club, Motolite, Aguila Glass, Eurovision Car Accessories and Decals, Philgraphics, Philippine Red Cross, Shinagawa Lasik and Aesthetics, Meguiars, Aqua Best and I Flick Photo Booth. * Special Thanks To : Linea Fiori Events, PMCM Events Management, The Big Difference Communications, Index and LFI Photoworks. The People Management Association of the Philippines (PMAP), acknowledged as the premier organisation of HR practitioners and managers in the country, celebrates its 60th anniversary by recognising the organisation’s 60 Great People and Moments in the past six decades. 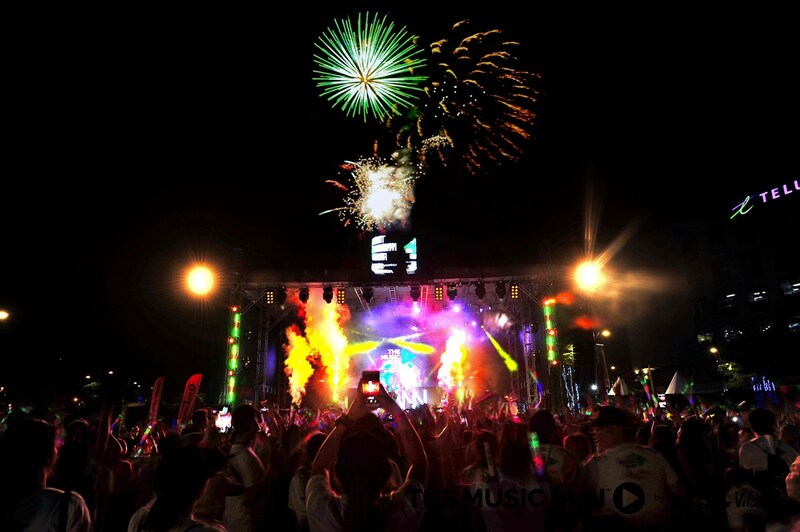 As part of the celebration of its Diamond year, PMAP acknowledges the wisdom and hard word of the men and women who are instrumental in making the organisation a well-respected professional organisation that it is today. PMAP hopes that this will also inspire and remind members and the next generation of people managers to aim for excellence in the field of Human Resource Management and preserve the great legacy of the association. The awarding ceremony was held at the Philippine International Convention Center on October 19, 2016, during the PMAP 53rd Annual Conference. 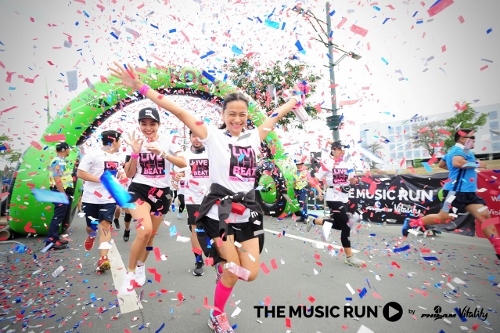 The awardees included member companies, which have been with PMAP for least 50 years, led by the country’s flag carrier Philippine Airlines, the only company that was able to maintain its membership since 1965. 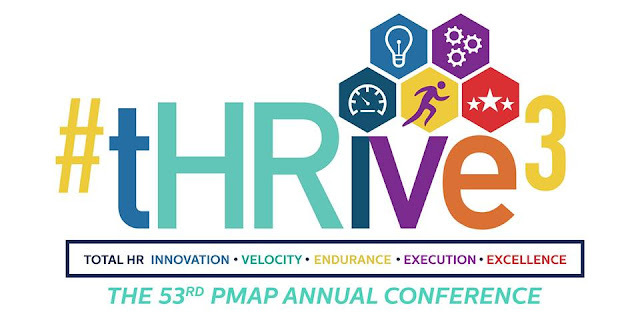 PMAP was founded by 37 executives from various business and industrial sectors and grew to 1,800 corporate and individual members, with 26 chapters nationwide to date. This year’s conference them is “#tHRiv3: Total HR Innovation. Velocity. Endurance. Execution. Excellence.” The mandate for PMAP is to strategically position people - Filipino human capital, as the main driver of the movement. For this is the time to tHRive! EGGciting Adventure Family Fun Run Racekit Give Away! 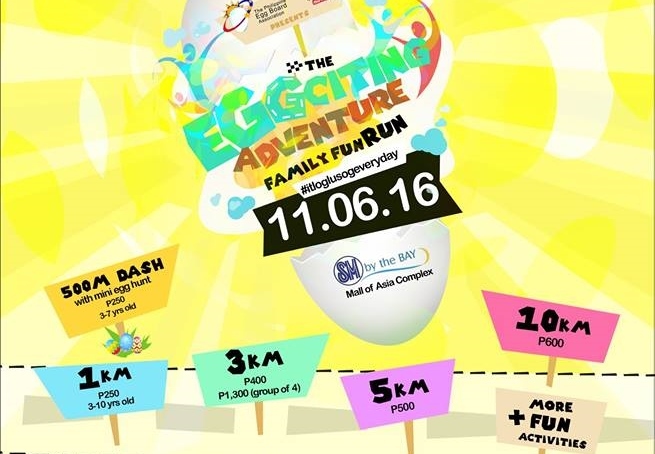 EGGciting Adventure Family Fun Run is being moved to November 6, 2016, at SM MOA. Get ready for another EGGciting Adventure Run with your family and friends this Sunday, November 6, 2016, at SM MOA Running Grounds. I'm giving away five (5) race kits (5k distance)! How to win? Comment down below with your name, and link to you Facebook post. Winners will be announced on November 3, 2016! 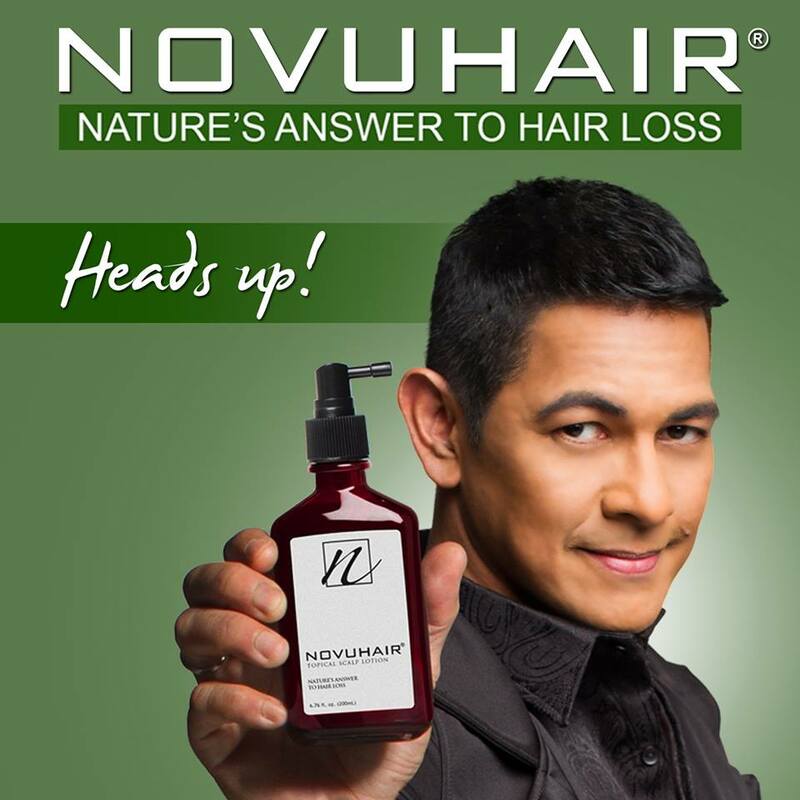 Novuhair, nature's answer to hair loss, is made of 19 Natural ingredients for healthier hair and scalp. Novuhair, nature’s answer to hair loss is made of 19 Natural ingredients which includes herbal components such as moringa oleifera, panax ginseng, virgin coconut oil and the natural essences of rosemary and peppermint. Novuhair nourishes the scalp and hair by increasing the flow of nutrients and improving blood circulation to the scalp. Novuhair also helps hydrate the scalp, maintain the hair’s natural luster and prevent early hair graying, hair dryness and itching. For more information visit www.novuhair.com, like the brand’s official Facebook Page at Novuhair Official, follow it on Twitter at @NovuhairNatural and on Instagram @novuhairofficial. You may also call the Novuhair hotlines at (02) 4136570 and 09228830575 and order online at Lazada and regaloservice.com. 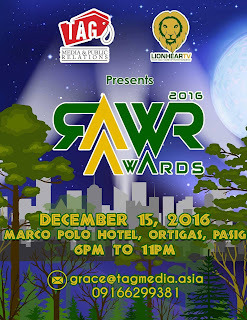 To give recognition to the best of the best in the entertainment industry from the bloggers and fans, here's the first and from RAWR awards presented by TAG Media and Public Relations and LionhearTV. Joining forces for the first time, these two companies will launch the 2nd year of RAWR awards on Dec. 15, 2016 at Marco Polo Hotel, Ortigas, Pasig.